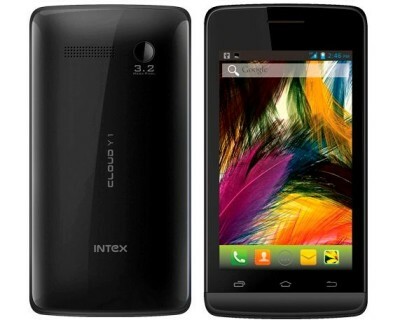 Intex Cloud Y1 is now listed on the official website of the company. The handset comes with entry level specifications and is priced at RS. 5,590. It has 1GHz dual core processor, 4inch capacitive touch screen display and runs on Android 4.2 jellybean OS. Considering is the specs, Price and features it will compete with Gionee Pioneer P2, Intex X4 and recently launched Videocon A31, A48, A42. The Intex Cloud Y1 comes in Black and white color and with pre loaded Racing Moto Game, Intex Zone and other apps.